What is the Executor’s Year? Organising the distribution of an estate and dealing with probate is not a quick process even with very straightforward wills but rushing the distribution of a will can have serious consequences for executors. 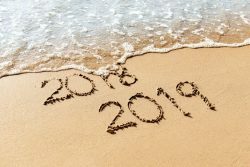 The Executor’s Year is an accepted time frame (12 months from the date of death) to allow executors and administrators time to gather information together and check for potential claims and debts before the estate is shared amongst beneficiaries. and safeguarding the assets of the estate. If an executor is pressurized to release funds before this 12 month period is up and they make a serious mistake, they will be held liable. In 2014 the executors of Terence Guy were ordered to pay HMRC over £14,000 from their own pockets, because they had inadvertently under declared Mr Guy’s income. There had been an initial delay in the query on income from HMRC and by the time it was confirmed that his income had been underestimated and there was an Inheritance Tax shortfall the executors had already distributed the estate. It is advisable for executors/administrators to use the Executor’s Year wisely and not rush into allocating the assets of the estate even when under pressure to do so. Even after the Executor’s Year has ended, the court will not order the distribution of an estate if there are added complexities, such as foreign assets or private company shares or the ongoing sale of a property. In these circumstances the executor/administrator will be asked to give reasonable justification for a delay so it is important to keep accurate records. Beneficiaries are also likely to get a better outcome if they don’t place undue pressure on executors during this 12 month period. There is a notable exception to the Executor’s Year – the Provision for family and dependents (Inheritance Act 1975) was put in place to offer early financial support for dependents of the deceased – for instance it ensures any children under 18 are provided for swiftly in the event of a death of a sole carer. In these circumstances a court can order the partial or complete release of funds or property before the end of the Executor’s Year. The time frame in these circumstances is six months from the Grant of Probate (rather than from the date of death).